Champion class: Ch. Danibull ASILLYA SILVERTINA – Exc1, CAC, CACIB, BOS, Best In Show National Breeds 2nd place!!! Champion class: Ch. Danibull ASILLYA SILVERTINA – Exc1, CAC, CACIB, BOB, Best In Show National Breeds 2nd place!!! Best In Group 3rd. place !!! + NEW GRAND CHAMPION OF SLOVAK REPULIC! 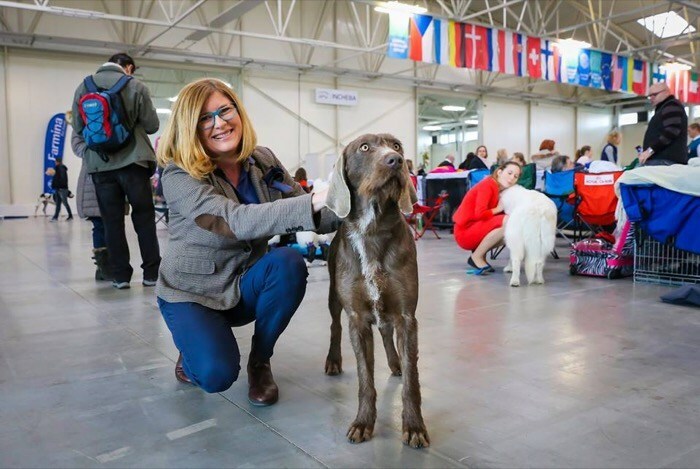 SLOVAKIA DOG CUP 2016 - Ch. Danibull ASILLYA SILVERTINA "Chilly"
Champion class: Ch. 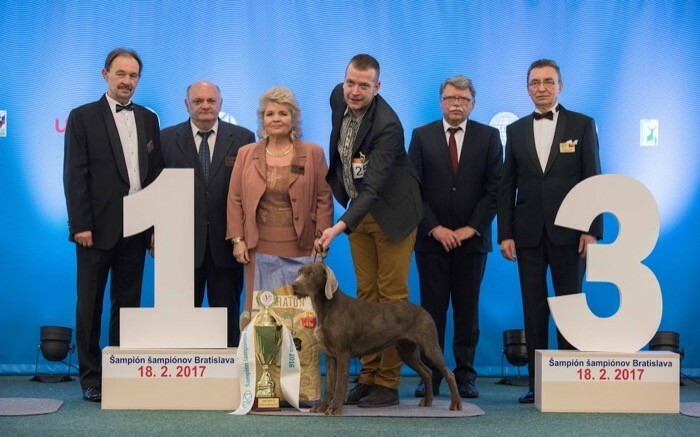 Danibull ASILLYA SILVERTINA – Exc1, CAC, National winner 2017, BOB, Best In Group 2. miesto !!! Best In Show National breeds 1st place!!! Champion class: Ch. Danibull ASILLYA SILVERTINA – Exc1, CAC, Victory winner, Best In Group 1. miesto !!! Champion of Champions National Breeds Winner!!! Working class: Ch. Danibull ASILLYA SILVERTINA – Exc1, CAC, CACIB, BOB, res. Best In Group!!! Best In Show National Breeds winner!!! Working class: Ch. Danibull ASILLYA SILVERTINA – Exc1, CAC, CACIB, BOB, Best In Group 3rd place!!! Best In Show National Breeds winner!!! + New CHAMPION OF SLOVAK REPUBLIC!! !